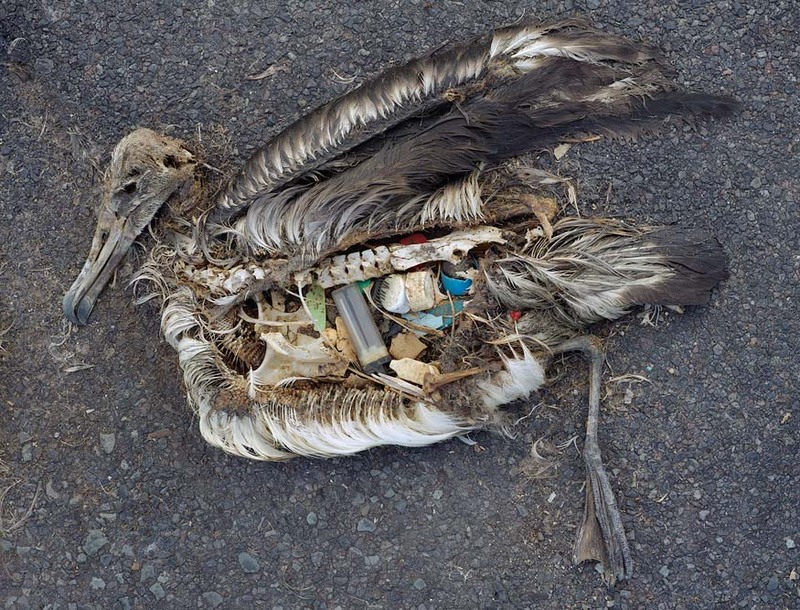 Out in the pacific ocean, there is a garbage field larger than continental America. Composed of plastic waste – bags, bottle caps, lighters, etc. the garbage, a testament to our wasteful ways, is growing in size. Chris Jordan, a famed photographer, just posted some horrifying pictures of dead birds who eat the garbage and then die. Here are his photos and one sample below. Article on the patch here.